Catch part one and part two of the series. What is most important is open, honest and convincing dialogue about what is true from the Scriptures and where your church simply doesn’t match up. For change to happen, it helps if the whole church really wants it, and a sense of unction or urgency is crucial to driving a transition. Cultivating this sense of need can come in many different ways – identifying opportunities in your city, pointing out weaknesses of the current model, showing statistics of lostness, and a variety of other methods. We have used these tools and more. At The Austin Stone, we have found that for the believer, a sense of urgency must first and foremost be grounded in conviction from God’s Word. We can certainly have a sense of necessity of change in our minds, but deeply-rooted conviction begins with the heart. Specifically, a heart that desires to be conformed to the image of Christ through obedience to the Word of God. This isn’t simply a matter of showing people statistics about lostness or talking about a stagnant church, although those tactics can be helpful. 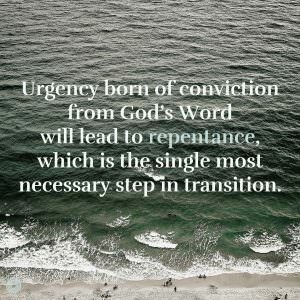 Urgency born of conviction from God’s Word will lead to repentance, which is the single most necessary step in transition. What Convictions Do I Need? I’m sure there are more convictions, but those above will impel you to consider why you must transition your church. Perhaps even more critical is showing how your current model of ministry is not fulfilling these beliefs. What is most important is open, honest and convincing dialogue about what is true from the Scriptures and where your church simply doesn’t match up. The single largest challenge we faced in the transition was helping our leadership and people see how our actions as communities did not actually match our beliefs. Very few people were coming to faith, very few of our old groups could state a sense of purpose beyond themselves, very few were intentionally seeking to invite neighbors, and most of our people were content to simply gather at our functions. Surely there had to be more to church than that! Missional community became rooted in conviction, but also practically applied into action. Finally, urgency must exist primarily in your leadership. In order for wholesale change to be successful, I think you’ll need ~75% of your leadership team to buy into the change. If you want to transition your church and be effective in the long haul, spend a considerable amount of time and energy building urgency and conviction in your core leadership before moving onto the next steps. Without this sense of conviction from your leadership, a transition to missional communities is doomed to be simply another program in the church. 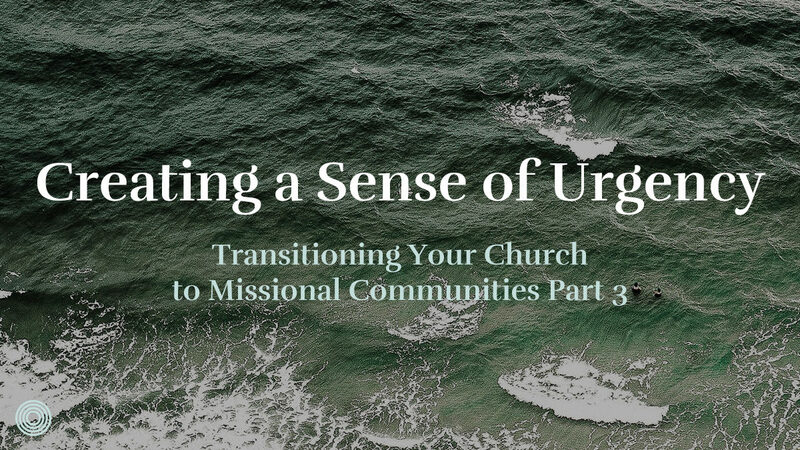 Are you a leader transitioning your church to missional communities, what steps can you take to cultivate a sense of urgency on your team?